The Art of Aardman Arrives in Frankfurt! 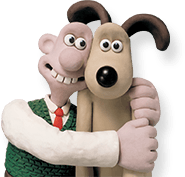 © and ™Aardman Animations Ltd, 2019. All rights reserved.